Historical and Egyptological problems of chronology concerning Egypt's 18th and 19th dynasty (c. 1550-1300 BC), are continuously coming up. This being of relevance, too, to a growing demand for an easy access to the information given by of the original text of Ove von Spaeth's analysis and report: "Dating the Oldest Egyptian Star Map". The paper was published in "Centaurus International Magazine of the History of Mathematics, Science, and Technology", July-August 2000 (more information concerning the publication will follow). When publishing this treatise concerning its new orientating discoveries of the content of the ancient star map, the number of prints was relatively limited. The star map demonstrates to be impressively well constructed by Queen Hatshepsut's gifted 'vizier' Senmut (or Senenmut), around 1.500 BC. And the need of acquiring the new data of the map has exceeded more than it was expected. - For instance, an international Newsgroup for the History of Astronomy has published discussions on the internet among researchers, scholars, and scientists concerning Ove von Spaeth's scientific treatise on dating the world's oldest star map: - Around 25 different letters dealing with this matter, were distributed world wide to all members of the group during the first months of 2002. Unfortunately, solely based on accounts and comments, the statements from members of the group contain also certain misunderstandings, as scholars and scientist involved admittedly neglected to consult the primary source, i.e. the original text of the treatise. - Cf. Debate on Dating the Star Map . From article-bases at the libraries: xerox copies of the treatise can be required - the reference-No. is: ISSN 0008-8994, Centaurus, Vol. 42;3, 2000, pp. 159-179. However, in many cases this line of action proved to be too slow a procedure to obtain the information at the moment it was needed.
! Now, it is has been arranged that it is possible (in connection with the special Moses-research, cf. permission below) - for free and without the delay - to receive the treatise directly, in an new electronic version..
An evaluation of the present work must be made on the whole, as many circumstances connected with these star maps have been put together coherently for the first time. The present thesis has been based on a long series of indications, and not on isolated presumptions; and as such it should be regarded as "suggestions" to be further explored. The researches into the material concerned combines especially two branches of science, i.e. astronomy and Egyptology. It has also been the intention to make the knowledge available to other researchers e.g. historians and archaeologists, besides the Egyptologists, astronomers and historians of astronomy. 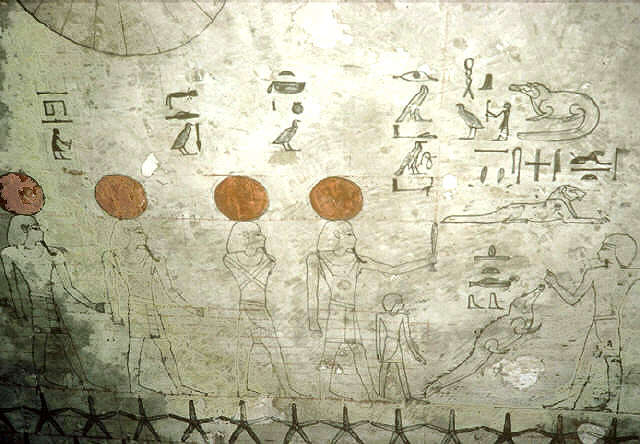 Therefore, it was necessary to explain, en route, a few astronomic and Egyptological concepts. 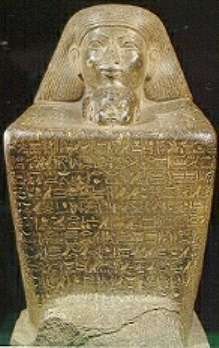 In some cases Egyptian terms will be indicated, out of consideration for non-Egyptologist readers, by generally accepted or used pronunciation. As a whole the analysis has been formed in such a way that the readers do not need to have special knowledge within the special fields. And even in principle for the text in question, a throughout understanding is not necessarily needed when reading to obtain a satisfactorily orientation. Free download & free of conditions: You can get the original text (emended) from Ove von Spaeth's treatise "Dating the Oldest Egyptian Star Map". According to Centaurus' (by Munksgaard /Blackwell International Publishers Ltd.) written permission, 18 July 2000, the Centaurus-publisher's part of copyright to publish the treatise has most kindly been excluded for the benefit of the cases when the text should be presented in connection with Ove von Spaeth's Moses-research. - Again, it must be emphasized that the analysis and its results concern solely the star map and were accomplished completely independent of any other objective or purpose. THE TREATISE "Dating the Oldest Egyptian Star Map"
In order to download the treatise (pdf format) your computer uses the tool Acrobat Reader. The Acrobat Reader is normally installed with Netscape or Internet Explorer and is useful on numerous occasions. Free download & free of conditions: If you do not have this tool on your computer already, you can download it for FREE without giving any information about you. You will receive the most recent version: Click on the Acrobat Reader link (the download file size is unavailable) and follow the instructions: Acrobat Reader . According to the permission stated, the treatise was thus allowed to be published also in connection with Ove von Spaeth's research concerning the historical Moses. It is therefore also published as a special appendix in vol. 2 of Ove von Spaeth's book-series "Assassinating Moses" (C.A. Reitzel Publisher, Copenhagen). Editions in English are under preparation..
Concering C.A. Reitzel Bookseller and Publisher, Ltd.: Established 1819 - Soeren Kierkegaard and Hans Christian Andersen's original publishing house - The oldest bookstore in Denmark, - after 2008: order Ove von Spaeth's books on Moses (in Danish) by e-mail: admin@lemuelbooks.com . 2 OVE VON SPAETH: INTRO, THE MOSES-VOL.2's APPENDIX "SENMUTS' STAR MAP - DATED BY ASTRONOMY"
- concerning the author's Book-series on the historical Moses - this for introducing the Vol. 2's Appendix. So far, it has been demonstrated: 1) The Senmut maps contain a cosmological and astro-mythological expression not only as decoration - as hitherto assumed - but also as a picture of a particular and unique situation in the sky. - 2) This configuration of the sky can be exactly dated: 1534 BC. The treatise of Ove von Spaeth: "Dating the Oldest Egyptian Star Map", was published in "Centaurus International Magazine of the History of Mathematics, Science, and Technology", Vol. 42;3, 2000, pp. 159-179, - by Aarhus University, the History of Science Department, Denmark; - and issued by Munksgaard /Blackwell International Publishers, Copenhagen. - (ISSN 0008-8984). Abstracted or indexed in: Social Sciences Citation Index, Arts & Humanities Citation Index, Research Alert. Current Contents: Social & Behavioral Sciences, Historical Abstracts. Editor in chief: KURT MØLLER PEDERSEN, History of Science Department Aarhus University, Denmark. Assistant Editors: KIRSTI ANDERSEN, OLE KNUDSEN, & HENRY NIELSEN, History of Science Department. Aarhus University. Book Review Editor: HELGE KRAGH, History of Science Department. Aarhus University. Secretary to the Editors: LOUIS KLOSTERGAARD, History of Science Department. Aarhus University, Denmark. ASGER AABOE, YaIe University, USA. ¤ J.M. HENK BOS, University of Utrecht, The Netherlands. ¤ LIS BRACK-BERNSEN, Universität Regensburg, Germany. ¤ MARK CLARK, Oregon Institute of Technology, USA. ¤ MENSO FOLKERTS, Ludwig-Maximilians-Universität München, Germany. ¤ DAVID FOWLER, University of Warwick, United Kingdom. ROBERT MARC FRIEDMAN, University of Oslo, Norway. ¤ JEREMY JOHN GRAY, The Open University, Milton Keynes, United Kingdom. ¤ JAN PETER HOGENDIJK, University of Utrecht, The Netherlands. ¤ ARNE KAIJSER, Royal Institute of Technology, Sweden. ¤ JESPER LUTZEN, University of Copenhagen, Denmark. ¤ ROBERTO DE ANDRADE MARTINS, State University of Campinas. Brazil. ¤ CHRISTOPH MEINEL, Universität Regensburg, Deutschland. ¤ KRISTIAN P. MOESGAARD, StenoMuseum, Aarhus, Denmark. ¤ JOHN D. NORTH, Oxford, United Kingdom. ¤ JOAN RICHARDS, Brown University, Providence. USA. ¤ ALAN E. SHAPIRO, Tate Laboratory of Physics, Minneapolis, USA. ¤ DONALD B. WAGNER, University of Copenhagen, Denmark. ¤ ANDREW WARWICK, Imperial College of Science, Technology and Medicine, London, United Kingdom. Manuscripts, review copies of books, and editorial communications should be sent to: Centaurus, History of Science Department. Aarhus University. Ny Munkegade, DK-8000 Aarhus C, Denmark, Phone: +45 8942 35 12, Fax: +45 8942 35 10. e-mail: centaurus@ifa.au.dk . Subscription orders may be placed with: Head office: MUNKSGAARD International Publishers Ltd., 35 Nørre Søgade. Postbox 2148, DK-1016 Copenhagen K, Denmark, Tel: +45773333 33, Fax: +45 77 3333 77, e-mail: fsub@munksgaard.dk or Regional office in USA: MUNKSGAARD International Publishers Ltd., Commerce Place. 350 Main Street, Malden, MA 02148-5018, USA, Tel: +1(781)3888273, Fax: +1(781)3888274 or with any subscription agent. CENTAURUS International Magazine of the History of Mathematics, Science, and Technology, © 2000 Munksgaard International Publishers Ltd.: - Authorization to photocopy items for internal and personal use, or the internal and personal use of specific clients, is granted by Munksgaard International Publishers Ltd. for libraries and other users registered with the Copyright Clearance Center (CCC). Transactional Reporting Service, provided that the base fee of US$ 12.00 per copy is paid directly to CCC, 222 Rosewood Drive, Danvers. MA 01923 0008-8994/00/ US$ 12.00+0.00. In the United States prior to photocopying items for educational classroom use, please contact The Copyright Clearance Center, 222 Rosewood Dr., Danvers, MA 01923, 508-750-8400. All other rights including microfilm, electronic and optical storing, and/or copying reserved. 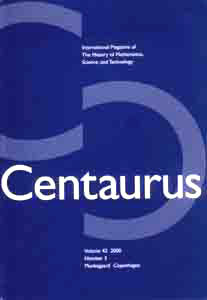 Centaurus [ISSN 0008-8994] is published quarterly by Munksgaard International Publishers Ltd., 35 Nørre Søgade, P.O. Box 2148, DK-1016 Copenhagen K, Denmark. (Printed in Denmark by P.J. Schmidt A/S, Vojens). USA subscription price is US$ 246.00 including airspeed delivery. (USPS 016-286) Periodicals postage paid at Champlain, NY and additional mailing offices. USA Postmaster for North American subscribers: Send address changes to: IMS of NY, P.O. Box 1518, Champlain, NY12919. Airspeed and mailing in the USA by INSA. The treatise on "Dating the Oldest Egyptian Star Map" was, by permission, also published (in a form adapted for non-scientifical readers) as a special appendix in the Volume 2 of Ove von Spaeth's book-series about the research on the historical Moses. (Cf. too "On History" ).